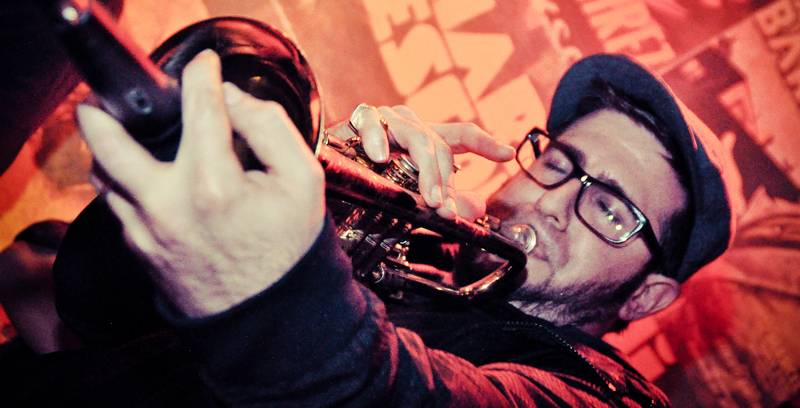 Todd is a Trumpeter/Arranger/Producer/DJ/Educator who’s worked with the likes of Kelis, Lauryn Hill, TV On The Radio, Ziggy Marley, Solange, Macklemore, Amber Coffman, Dirty Projectors, Madlib, Unknown Mortal Orchestra, Lukas Graham, Santigold, Quantic, Breakestra, Sharon Jones & The Dap-Kings, Quadron, RHYE, Quantic, Antibalas + many more. After co-founding Dakah, Connie Price & The Keystones, The Lions, The Decoders and The Angel City All-Star Brass Band, his personal project, the African – Jazz ensemble Ethio Cali (ethiocali.com), has taken LA by storm with their interpretations of Ethio-Jazz and Afrobeat! You can find Todd currently DJing and playing trumpet at the same time around town at his #HodgePodgeLA party that fuses live instruments with DJs. Todd’s recent mixtape project, Jazz On 45, is currently featured on OkayPlayer and Wax Poetics.